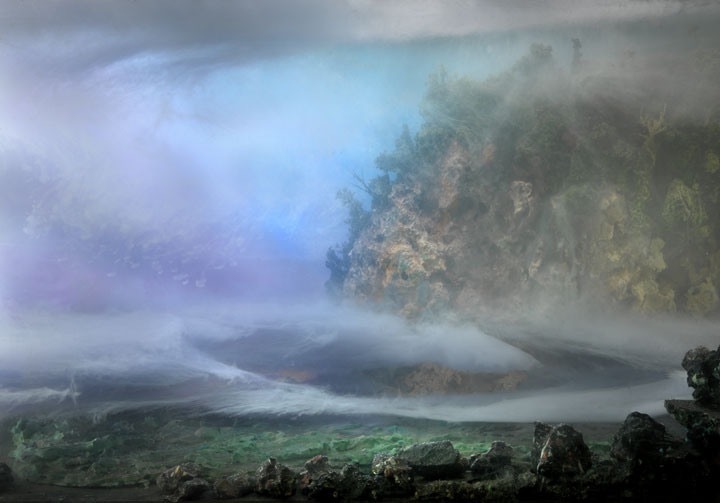 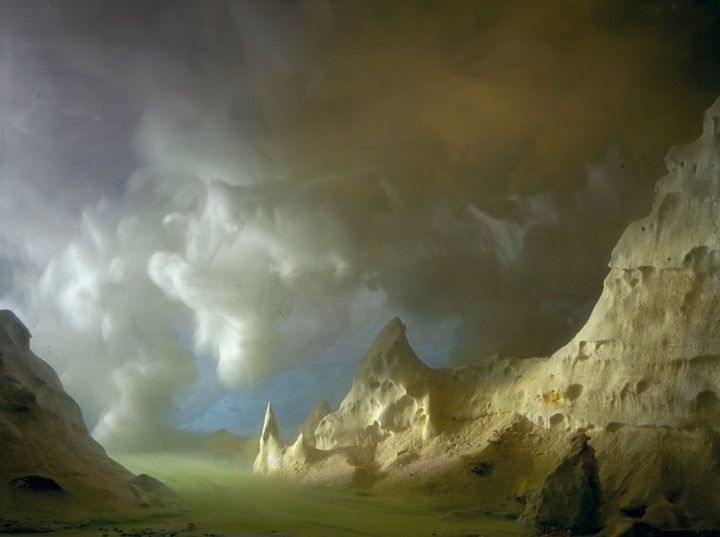 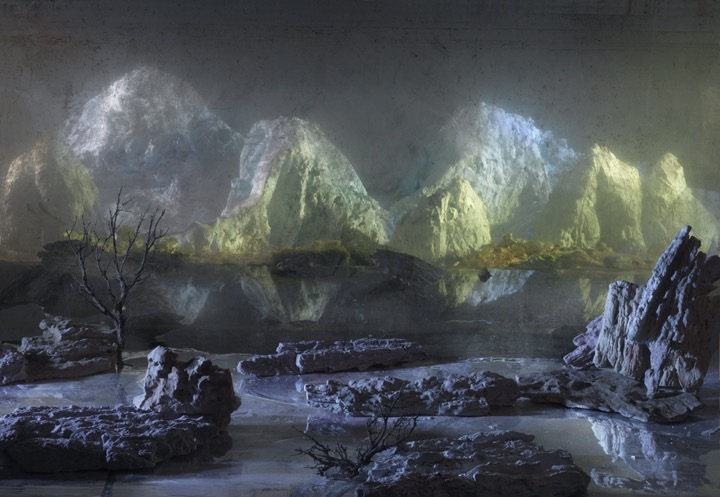 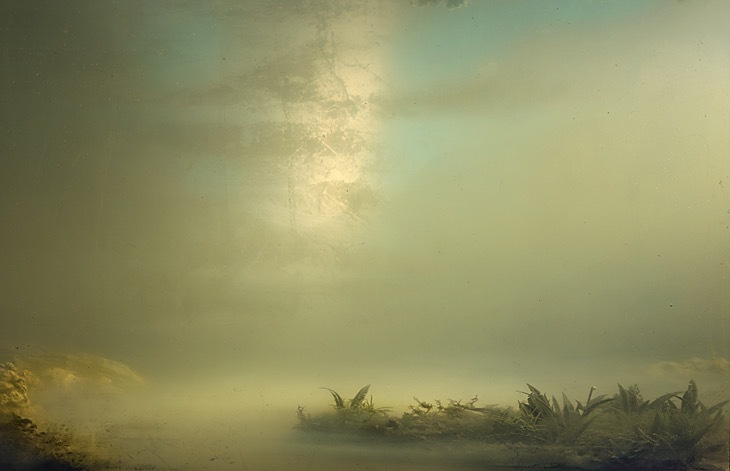 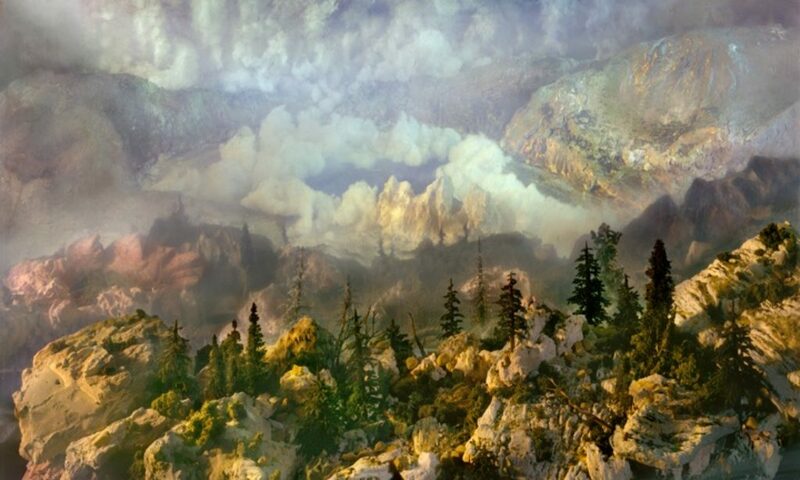 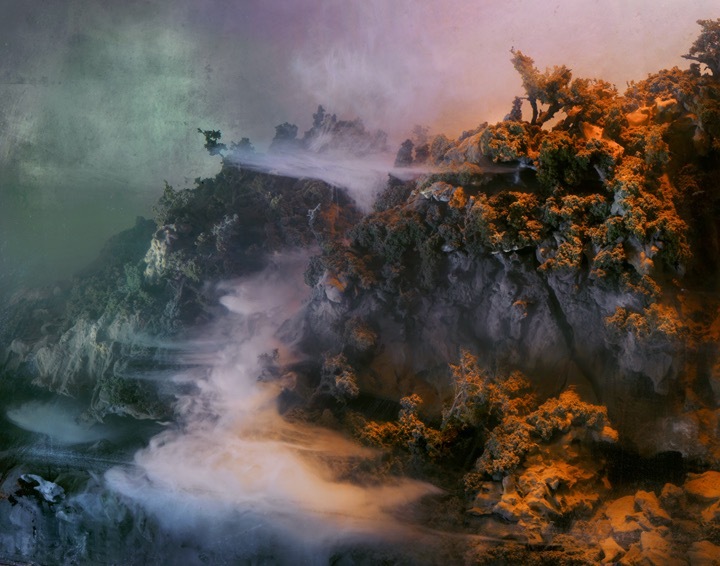 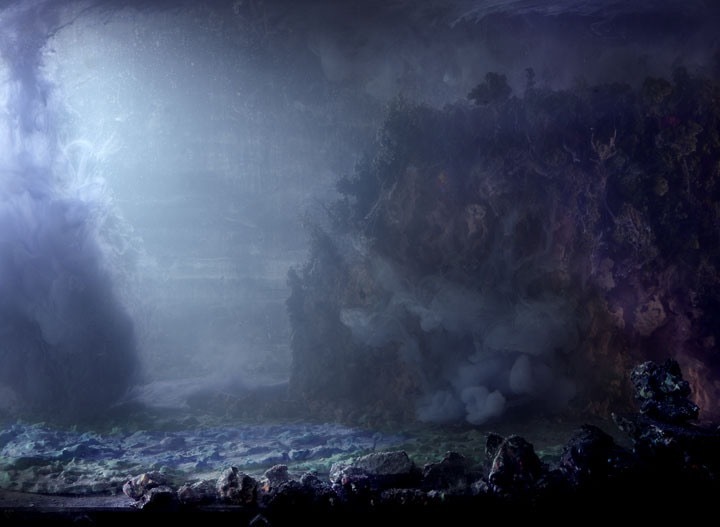 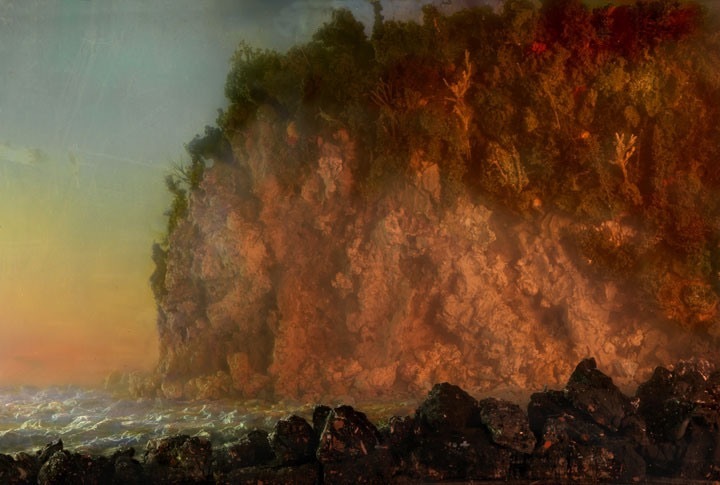 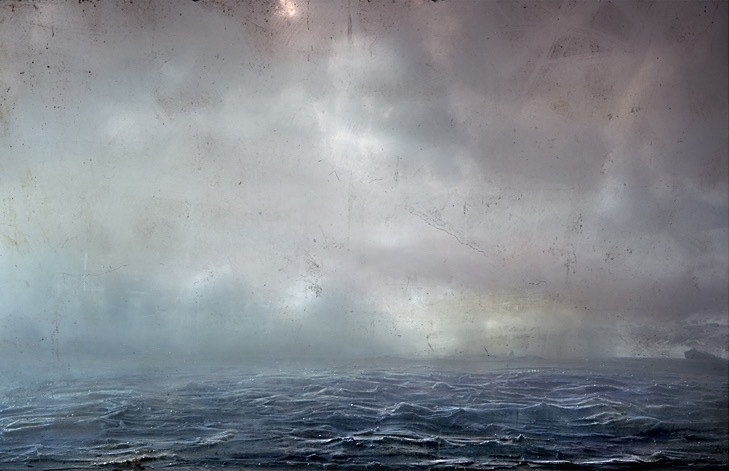 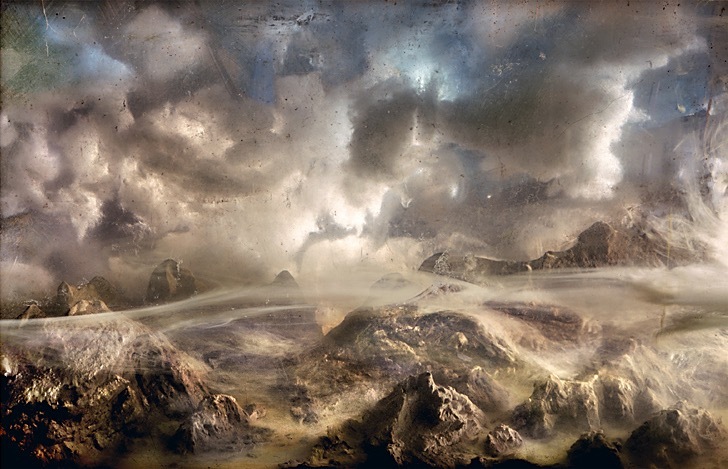 Kim Keever lives and works in New York City. 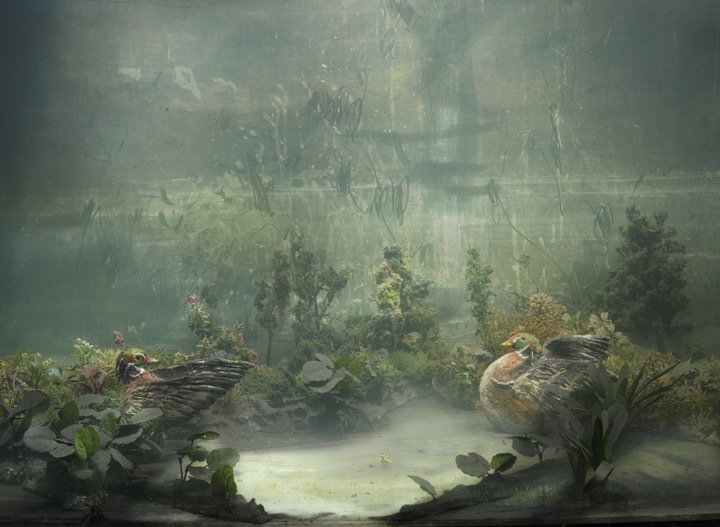 He developed interesting style in photography creating dioramas from found and sourced materials and placing it in front, behind or in 200 galon fish tank. 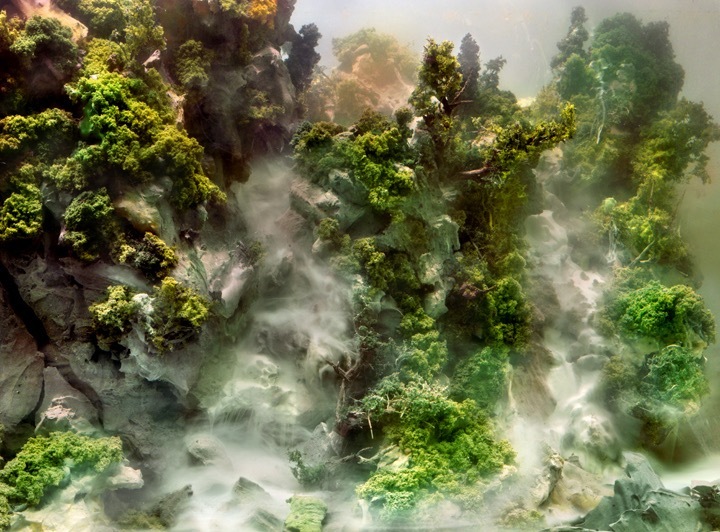 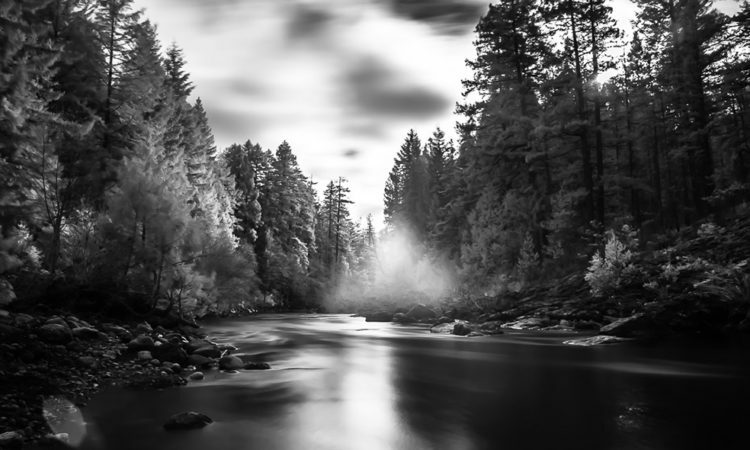 He adds some special effects like ink clouds and photograps hand-crafted landscapes with surprising effects.